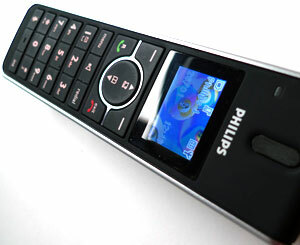 The Philips SE6552B answerphone combo goes some way to redress the balance, although you certainly wouldn’t mistake the beefy handset with a modern mobile as it’s still a fairly substantial lump, although it does manage a colour screen. The backlit keypad comes in a rubberised finish with large buttons and a group of buttons below the screen for menu/option, make/end call and a circular button giving access to the call list and phonebook. The handset was longer and thicker in the hand (oo-er) than we expected, and the hefty retro speakerphone grill on the back looked a little out of scale. 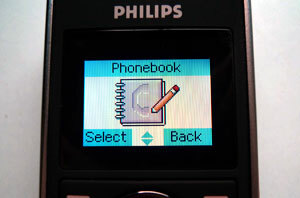 It may be 2009, but colour screens still remain something of a novelty on landline phones. 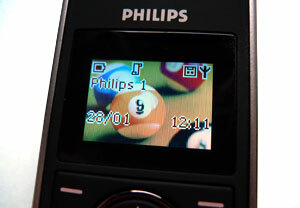 Even though Philips have fitted the SE655B with a colour screen, they haven’t exactly pushed out the boat as it’s a rather stingy 98 x 67 pixel affair. The interface was easy enough to use and we rather liked the ‘spirit of Amiga Workbench’ pixelly icons, although there was only the usual duff range of annoying ringtones and nondescript wallpaper options on offer. 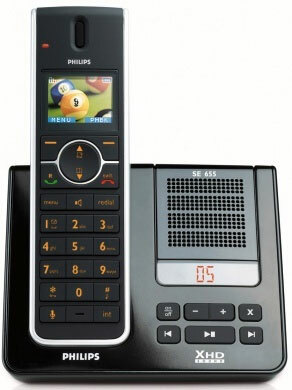 However, we warmed to the base unit with its clean lines, simple, over-sized buttons and large LED screen warning you of any new answerphone messages. We were rather excited by the promise of this high fallutin’ technology, but the sound quality turned out to be a huge disappointment. Every call was accompanied by a sort of swishing background noise that suggested that the conversation was taking place on a beach somewhere – or from inside a packet of crisps. 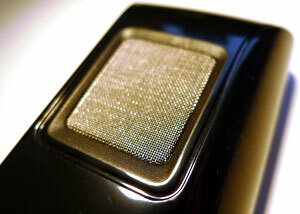 We tried using the handset closer to the base unit but still it sounded like we were swimming with the fishes. We tried moving the base unit to a different location, thinking its proximity to our broadband router may have been causing the interference, but still our Barnacle Bill soundtrack continued. 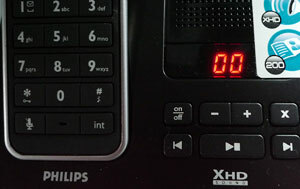 In fact, nothing we could do could get rid of the annoying background noise, even though earlier BT and Panasonic cordless phones had worked perfectly in the same location. After a good half hour of moving things about and wandering around the office, we admitted defeat and put the Philips back in the box. We really wanted to like this phone, but with a sound quality worse than our three year old Panasonic handset it was all but unusable. Its failings could almost be forgiven if it were a cheap, low end phone, but with a price hovering around the £50 mark, it’s a huge disappointment.